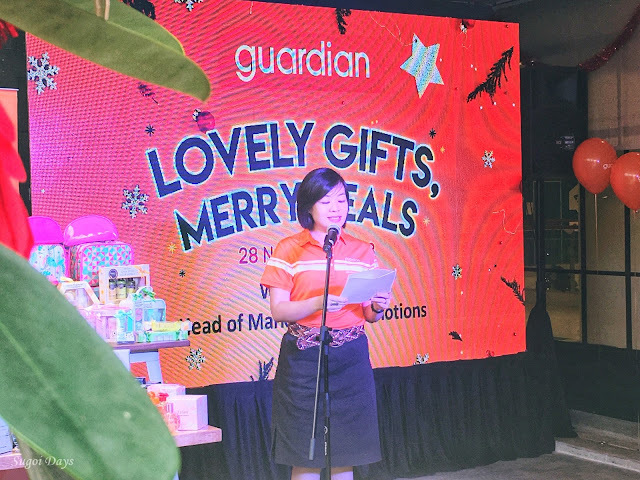 Sugoi Days: Guardian's Christmas 'Lovely Gifts, Merry Deals'! Guardian's Christmas 'Lovely Gifts, Merry Deals'! Christmas is less than a month away and you really shouldn't leave your shopping until the last minute! So why not make a list, (check it twice) and send it to Santa Klaus head down to your nearest mall. Or just pop into a Guardian outlet near you where you can get most of your shopping done with their new 'Lovely Gifts, Merry Deals' promotion. 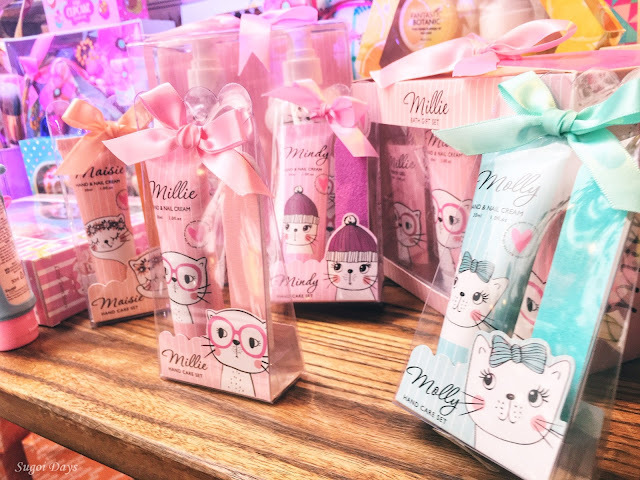 Starting 29 November until 31 December, customers will have 80 very attractive, practical and nicely packaged gift sets and products to pick from in 430 stores nationwide. These gift sets comprises of Guardian-exclusive international brands and Guardians's Own Brands ranging from cosmetics, bags, skin care, lip care, hand care, bath sets, fragrances, brush sets and many more. 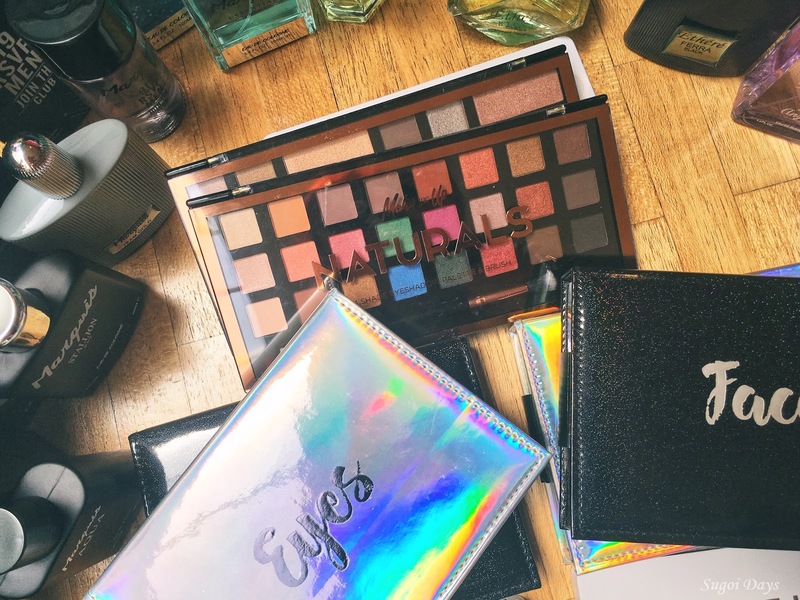 I was invited for a preview of the collection gift sets and I must say it was quite a challenge to not just run off with the whole table of products. There is sure to be something for everyone whether you're shopping for your family, friends, coworkers or just as a Secret Santa gift. And the best part is, most of the gift sets aren't too pricey. Ms Wong Vai Chi, Head of Marketing and Promotions, Guardian Health and Beauty Sdn Bhd shared that Guardian had built a reputation over the years for meeting customers’ needs for high quality, health and beauty products at reasonable prices. “We believe our customers will be delighted by the choices, the quality and the price,” she said. “We have grown from strength to strength and we are now the leading retailer for all things healthy and beauty. As the expert in healthy beauty, we take pride in offering exclusive and branded products to customers. These festive gifts, the second in our series, is in keeping with our policy of serving the needs of our customers, irrespective of the season!" And if you're stuck for ideas as to what to buy, don't fret. Beginning 10 December 2018, Guardian will also be implementing ‘Your Personal Guardian’ who can be easily identified by the button badges that they will wear. If you are stuck for ideas on what to give that quiet uncle or teenage sister of yours, please approach ‘Your Personal Guardian’ for gift recommendations for them. In addition tot that, every customer who buys gifts recommended by the “Personal Guardian”, they will receive a complimentary shopping bag from Guardian. Even if you can't get out of the house or office, you can also consult Your Personal Guardian on Facebook Messenger in December so that you and your loved ones have the perfect presents. Fly to Fukuoka, Japan with AirAsia X!